*In the midst of some site reconstruction, the original post about WerePups and Asia Eriksen was lost. But she's such a remarkable talent, I was more than happy to provide a much more thoughtful and detailed feature on the artist whose childhood dream is one of the most unique collectibles to ever exist. I have a very left from center interest in werewolves that began with the understandably much passed on The Marsupials: The Howling III from 1987. There was Jerboa (Imogen Annesley) bonding with her odd wolf/human newborn (above) that crawled out of a pouch from her torso in such a mesmerizing way. My imagination didn't quite know how to process such a tender, human yet not-human form, and ultimately a beautiful scene between a mother and her son. Because I'm strange and unusual, it prompted some of my first extra-textual ponderings of maternity. I've always loved wolf babies! The art of creating such a creature, all wolf, clearly not human yet mimicking life and fooling unknowing people has undoubtedly been perfected by an artist named Asia Charity Eriksen. 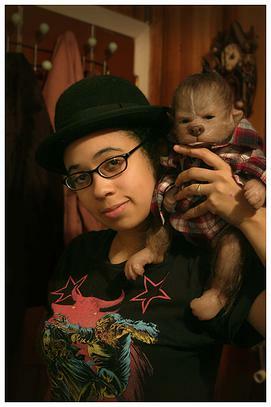 An FX artist from South Philly with raw vision, Asia is the creator of WerePups, the custom made furry cutie that's designed to meet all of your expectations. Asia carefully creates every pup to an owner's specifications so there's a guarantee that your full satisfaction and much love is put into creating each one. From her childhood love of puppies and horror, what a wonderful and unique combination to have arrived in the form of what I feel are the most adorable collectibles I've ever laid my eyes on. 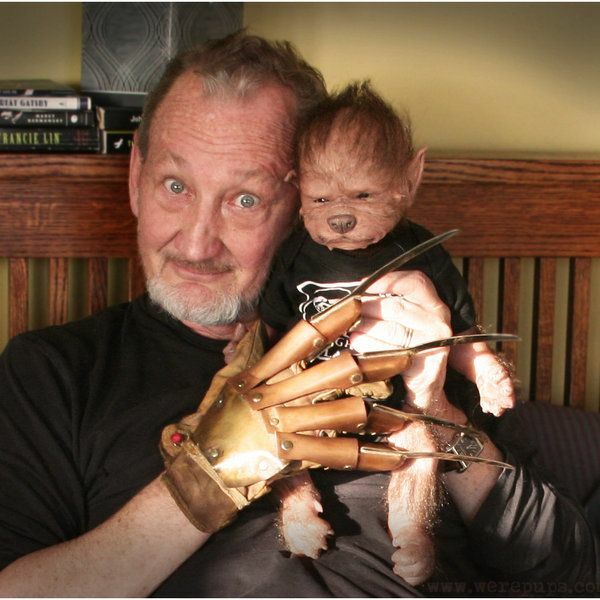 Asia gives a lot of credit to her mother, a fervent horror fan, her husband Anders (owner of Nightmare Gloves) for assisting her with molds, the realization of WerePups as a brand, and giving her the confidence to pursue her dream. All of her hard work and travels to many conventions has generated well deserved attention from the likes of Alice Cooper, Gary Busey, Robert Englund, and John Landis just to name a few. Asia may be the face of WerePups but it's far from a one-woman show. She works with a crew including her husband to make the entire wheel run smoothly, with talks of expanding WerePups into a comic strip and even a reality web series. There's no question the awe and reverence I have for Asia and her spectacular work that has been a massive inspiration. I got a chance to meet her at Monster Mania earlier this year and found myself more "star struck" with her than any other celebrity I've encountered. We talked about how convention booths are an investment to attract attention for customers, the flow of her workload (she is now estimated to be booked for 8-10 months whenever someone puts in an order), and the overall response to the pups themselves. Wanna purchase one? Everything you'll need to know about putting one in your hands can be found on the new website linked below! My photo of Asia and her adorable creation. 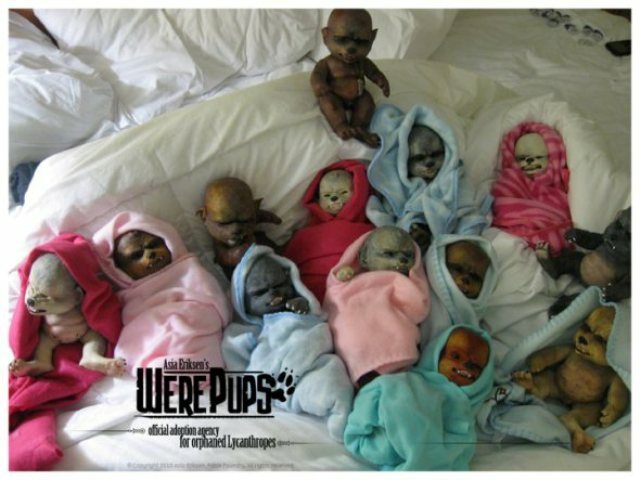 Check out the website to find out more about Asia & WerePups! See Pup selfies on Instagram. Get up to date news on Twitter. Stay in the loop by liking the Facebook page.